The Scala story is truly a dream come true. 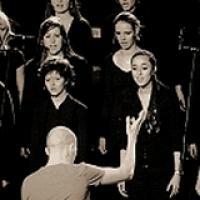 The classically trained Kolacny brothers, Steven (piano) and Stijn (conducting) have turned this Belgian girls’ choir into an international phenomenon, performing imaginatively reworked covers of Radiohead, U2, Rammstein and Nirvana songs (to name but a few) as well as, their equally successful original compositions before sold-out audiences throughout the world. In February 2009, Scala performed for the first time in the United States at the New York Times Center. Later this year, the first ‘Scala live’ TV special will start to air on PBS (the live recording took place April 28th at the ‘Concertgebouw’ of Bruges). In conjunction with the PBS special, Scala will release their first CD and DVD, ‘Circle’, in the Fall of 2010 and the choir will tour the U.S. in April 2011. Scala currently has more than 200 young women between the ages of 16 and 26 on its member list, but the choir started very small. The very first rehearsal took place on April 2nd 1996, with just 18 singers. The brothers' intention was to work with "voices" in their free time, thinking that a choir would be the best form for their experiment! Scala started more or less as a classical choir. The many rehearsals, hard work and perseverance soon led to prizes at choir festivals and contests. In their home country Belgium, Scala became "Choir of The Year 1999-2000" and have won top prizes around the world. In his search for ‘a different sound’, older brother Steven started arranging pop and rock hits, which younger brother Stijn directed. This led to Scala the ‘rock choir’ being born, almost without them even realizing it. Their first CD, ‘Scala On The Rocks’ was released December 1st, 2002. The idea was simple but daring: transposing rock songs into a believable sound using 40 young women’s voices and 1 piano. The success of this first CD, the favorable reviews from press and the audience, were beyond everyone’s wildest expectations. The CD got the support of nearly all-Belgian radio stations, newspapers and magazines and from leading names within the Belgian rock scene. Sales of “On The Rocks’ CD achieved gold in Belgium; making it the first ever choir to score a gold album! At the end of 2003, the second CD, "Dream On" (named after the Depeche Mode song) was released and Scala started its first "On The Rocks" sold-out tour throughout Belgium. Neighboring countries showed interest and it was not long before Scala's CD's made the playlist of radio stations throughout Europe. In Paris, RTL2 and M6 rolled out the red carpet and Nikola Sirkis, the lead singer of mega group Indochine, let it be known that he loved Scala. This resulted in a collaboration with Indochine, a duet with Nikola, two concerts (Brussels/Paris) in one day and a guest appearance on Indochine’s CD “Starlight”. As a result, the Scala CD "Respire", an album with French rock songs, was released in 2004. In Germany, Radio Fritz in Berlin discovered Scala around the same time. 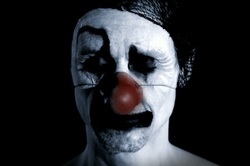 Thanks to airplay of the Scala version of German superstar Rammstein’s "Engel" – which Rammstein endorsed enthusiastically - and a live Fritz-concert in Berlin in August 2004, Scala started getting requests for concerts throughout Germany, as well as from radio and TV-stations. They performed with the German band "MIA" and in 2005 Scala released “Grenzenlos”, its first CD in German. In 2005 Steven, in partnership with Koen Buyse, front man of the Belgian rock band Zornik, started writing songs in earnest. 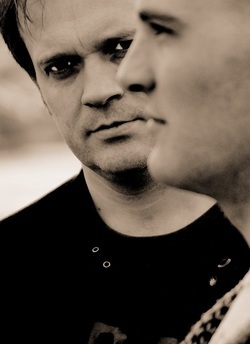 The collaboration resulted in the album, ‘It All Leads To This’ (released in Belgium in September 2006), which again went ‘gold’. An ‘It All Leads To This’ tour followed throughout several countries. This tour strongly emphasized sound, light, sets and projection. Finally, the Scala concept was complete: take rock classics and pop hits, strip them down and rework them in a totally new dimension, utilizing celestial female voices. Simple but brilliant. In 2008 Scala was asked to do a project in remembrance of the legendary Belgian singer Pierre Rapsat, who died in 2002. The sold out “Dans les Yeux d’Aurore’ tour strengthened Scala’s relationship with Belgium’s French-speaking audience. The number of concerts in Germany also increased steadily and Scala performed more and more songs in German, including its version of MIA’s hit, ‘Hungriges Herz’, which was used in a top national German television commercial. Symbolically, Scala is completing its ‘Circle’, from covers to their own songs, from churches to rock music festivals, from Belgium via Japan to the States. Scala is spreading its wings, introducing new audiences to new original music. Like the potter’s hands molding masterpieces from clay, the Kolacny brothers are taking these female voices, the choir’s soul and shaping them in their own inimitable way.